Adirondacks mountains: Unfortunately the cover got ripped on the 3rd day of use. The conditions were severe. 50 mph winds, snow and rain, temperatures ranging from -5 F to 35 F. I believe a tree branch ripped through the tent. Not sure what caused it, because the tent was found blown from its original site. Very tough. Strong tub floor. Tested in winter conditions. Rain, snow and wind. Never a leak inside the tent, even after the rain fly ripped. The length and width is just adequate for two people under 6 feet tall. Backpacks need to be kept outside with two people. Head space near the doors is about 4 inches shorter then the center. So don't expect to sit at the ends. It's tight for two people. 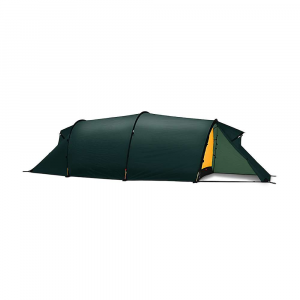 And at 5 F, touching the sides of the tent can feel very cold. Nothing especially difficult to set up. Mountain Hardwear replaced the fly that got ripped, no charge. 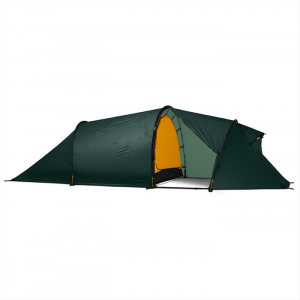 The Annapurna is an improvement on the tried and tested Trango design. It is absolutely bombproof in the worst mountaineering conditions. Using a silicon coated fly, the Annapurna actually pitches tighter than a Trango and should hold up better in the long run. 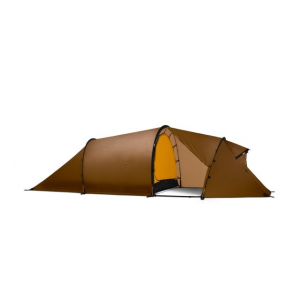 It is slightly smaller than the Trango 2, but it's plenty roomy for even expedition length climbs. The doors are a bit small unless you dig a snow pit for the vestibule, but that's not really a significant trade off. 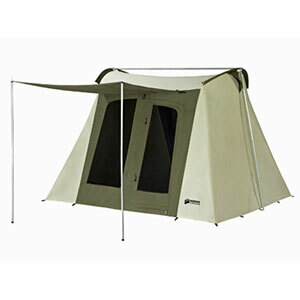 The back window and vestibule are not all that useful, expecially compared to the Trango which has a back door. I guess I'm still figuring out how to use this space well. As with all MH tents, you get thoughtful detail in the design, including lots of pockets, like the storage units in the roof. My only complaint is that I wish MH could get the weight under 5#. 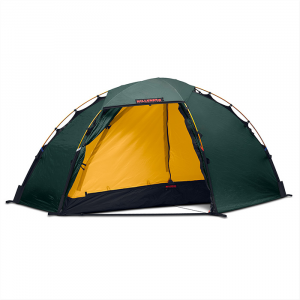 The Annapurna is a reasonable weight, and far better than a Trango, but I'm getting old. Great tent. Used it for a 5-day hike through Tasmain in Australia (a bit of an overkill for the conditions). Handles rain and wind like a dream. The only down sides are trying to take the tent down in the rain, and the condensation builds up if the tent isn't vented correctly. The Annapurna has been discontinued. The Mountain Hardwear Annapurna is not available from the stores we monitor. It was last seen November 21, 2006	at EMS.